Tim Duggan Books, 9781101905852, 352pp. As Jeremy takes stock of the entanglements that marked his years abroad, he wonders if he has unwittingly committed a crime so serious as to make him an enemy of the state. 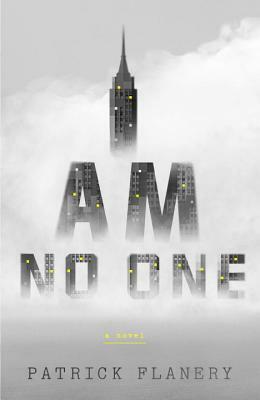 Moving towards a shattering reassessment of what it means to be free in a time of ever more intrusive surveillance, Jeremy is forced to ask himself whether he is "no one," as he believes, or a traitor not just to his country but to everyone around him. Patrick Flanery was born in California and raised in Omaha, Nebraska. After earning a B.F.A. in Film from NYU's Tisch School of the Arts, he worked in the film industry before moving to the U.K., where he completed a doctorate in twentieth-century English Literature at the University of Oxford. He is the author of the novels Absolution, which was shortlisted for the 2014 International IMPAC Dublin Literary Award, and Fallen Land. He has written for The Washington Post, The Guardian, and The Times Literary Supplement, and is a professor of creative writing at the University of Reading.